I popped the dry ice (do not touch it with your bare hands: always use gloves or tongs to handle it) into a bowl and it began to "melt". Instead of a pool of water, it disappeared into air. Bubs immediately went "Oooooh!" We then poured some water into the dry ice and Bub's surprise increased at the theatrical effect. "There's smoke!" he exclaimed. 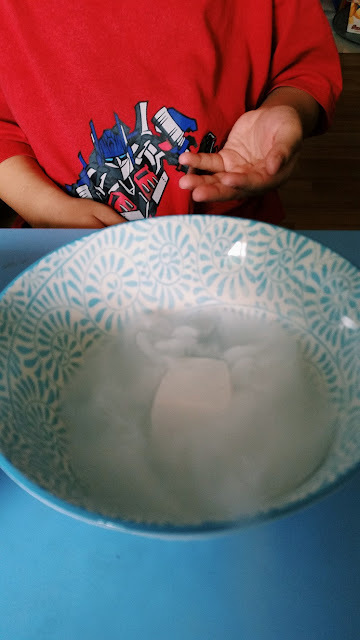 I showed him how he could wave his fingers through the vapour but warned him not to touch the the dry ice itself. 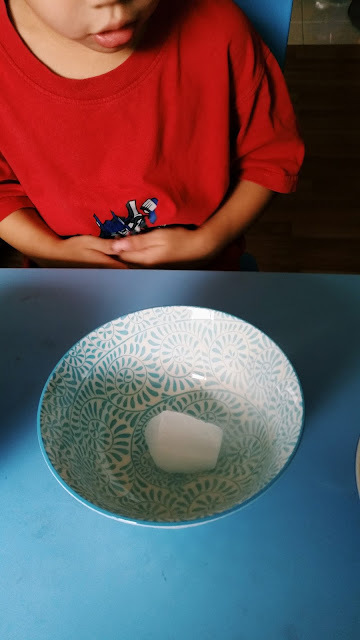 Bubs gasped loudly when a giant, milky white bubble began to form from the bowl. Ye gads, What sorcery is this?! 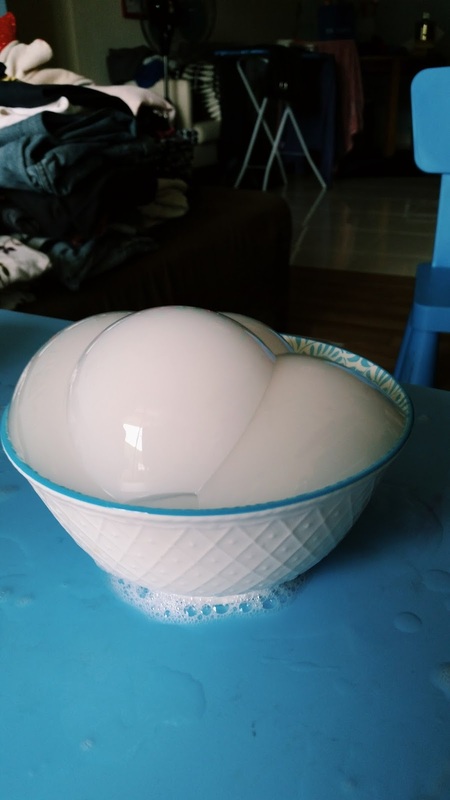 We then tipped over some of the bubble solution directly into the bowl with dry ice and watched as several bubbles began to form together. 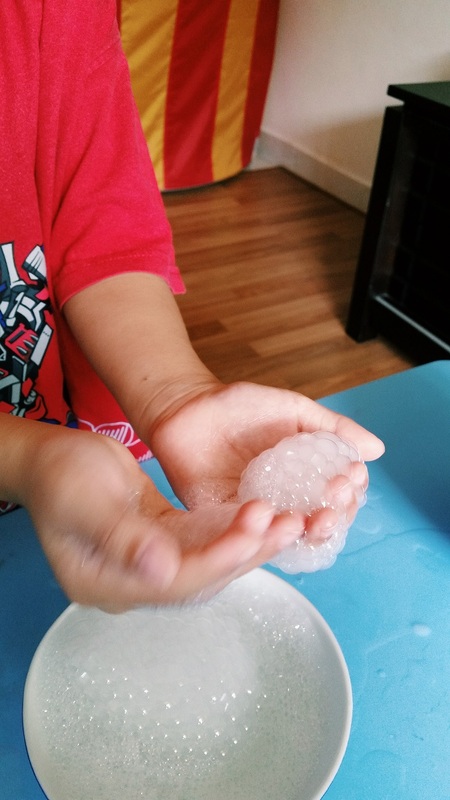 Bubs carefully scooped up the bubbles with his hands and squashed them, amazed as they vanished into little puffs of white vapour. I wasn't expecting this either and I had fun playing with him! 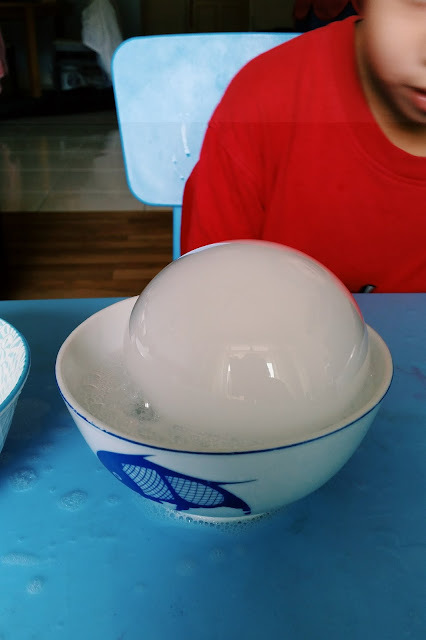 Some fun facts: dry ice is made from frozen carbon dioxide, which is why when it "melts", it disappears into the air.